OMG Posters! » Archive Jeff Proctor at Breeze Block Gallery (Art Now Online) - OMG Posters! Jeff Proctor’s newest art show went off without a hitch (see photos here and here, plus an insane “video installation” here). You can also purchase the art (warning, some of it is VERY nsfw) here. What is seen can not be unseen. There is something seriously wrong with Mr. Proctor. I am now going to go curl up in the shower for the next 2 hours and try to repress some memories. WOW @ his NSFW stuff…just…wow. Not feeling the “nsfw” pieces.. 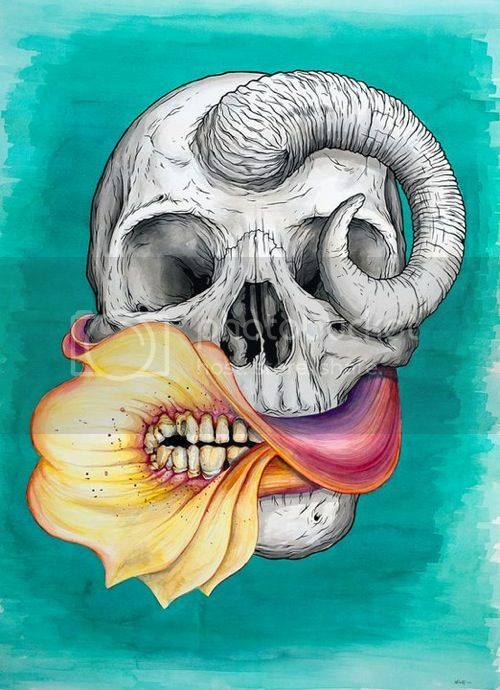 The flowers, skulls, and teeth are beautiful, though.